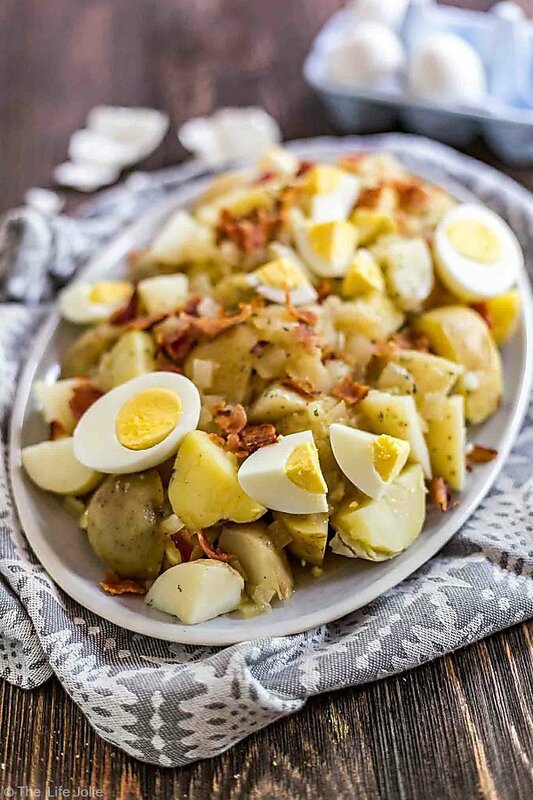 This authentic German Potato Salad is an easy family favorite that’s perfect for a picnic or gathering. It tastes great cold or warm and is topped with bacon and hard boiled eggs- this is a classic that the whole family will love! So we are getting ready to have a little birthday BBQ for A next week. It’s not going to be huge like T’s first birthday party but it will be just as fun. Last year, we did a small birthday dinner for A with all our parents and my grandma and sister and it was perfect! But this year, A is at an age where she’s just starting to understand the concept of birthday parties. While I still think a huge birthday blow out might be a bit much for her, J and I ultimately agreed that a casual BBQ with immediate family and a couple friends that are her age would be perfect. A is super excited for this. She has been very clear that she want’s a Rainbow themed birthday party. I was a bit surprised by this, I was totally expecting her to say Mickey. But I’m kind of excited for the rainbow theme and secretly happy it doesn’t involve characters. I’m not sure if I’ll be having games or anything like that, they are still a little young and we already have the playhouse and the DIY play stand, so we’ll see. Either way we’re excited! 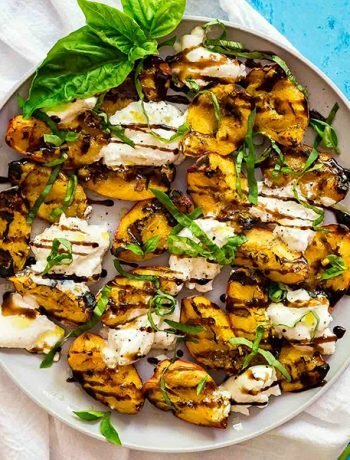 Are you guys sick of delicious summer recipes yet? Good. Neither am I. But once in a while I like to enjoy traditional things like potato salad in a different way. In this particular case, I’m referring to the usual mayonnaise-based potato salad. Delicious? Yes. Do I want it at every picnic? Not so much. Sometimes I like to mix things up a bit. Some people call this being a commitment-phobe. I prefer adventurous. Luckily, I have an excellent family recipe for German Potato Salad for the days when you simply cannot handle the same, old potato salad. 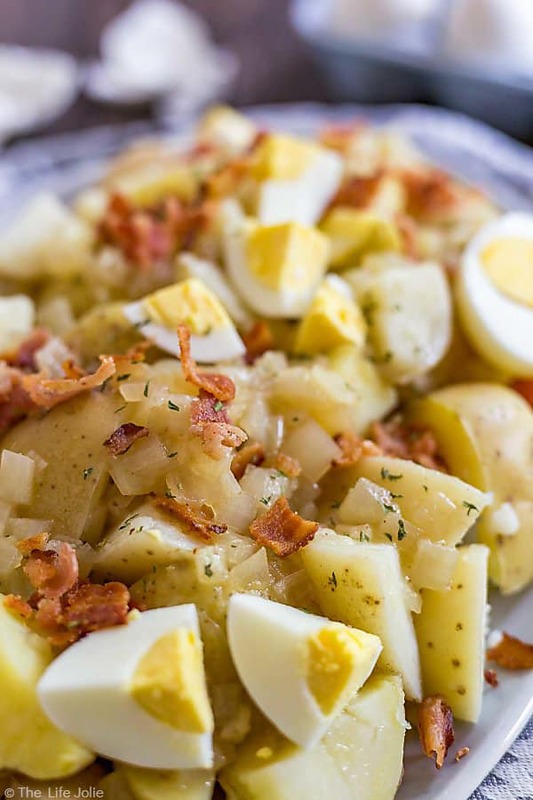 German Potato Salad was always a special treat that you’d find at our family picnics and special events. While it’s slightly more labor intensive, don’t let that scare you because it’s not a terrible amount of work or anything. But the results are simply delicious. Think about it. 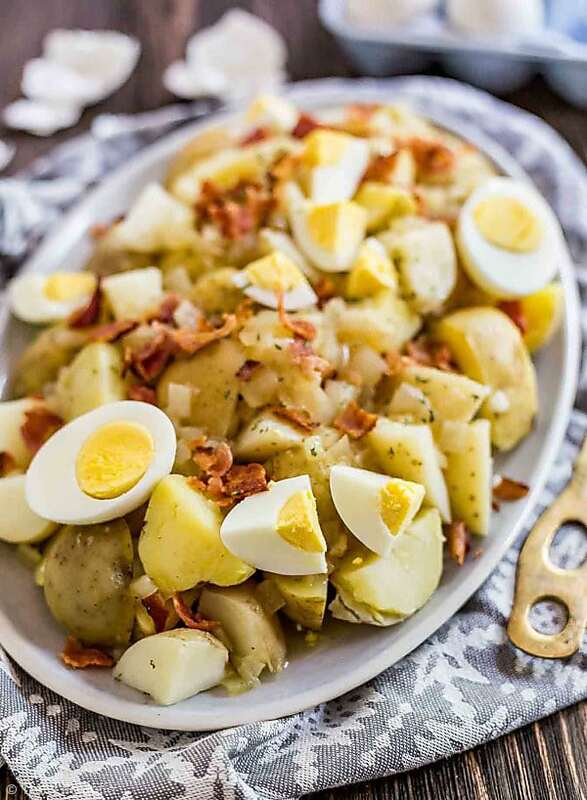 Who doesn’t love a potato salad with tons of hard boiled eggs and bacon on it? And did I mention that the dressing is made using the bacon fat? I mean is there anything more awesome than food cooked in bacon fat? We all know the obvious answer is bacon itself, but fear not, bacon is included in this! I think the important key to this recipe is making sure you have enough dressing. If you don’t have enough it will be dry and somewhat bland. And nobody has ever been the popular gal at the picnic for bringing a bland salad. I remedied this by saving a couple slices of bacon so that if I needed to whip up more sauce, I could quickly render some bacon fat. It’s a win/win because then you’ll also have a few slices of bacon to munch on or add to the Potato Salad. 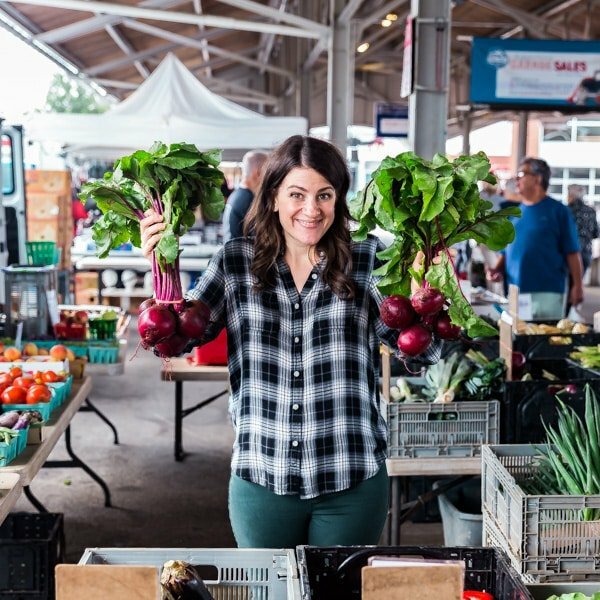 I might even get a little crazy and tell you to make that second batch of the sauce to bring to the picnic and add to the salad right before serving. Worst case, you can always save it. I bet it would taste amazing over a spinach salad with mushrooms and frizzled onions. 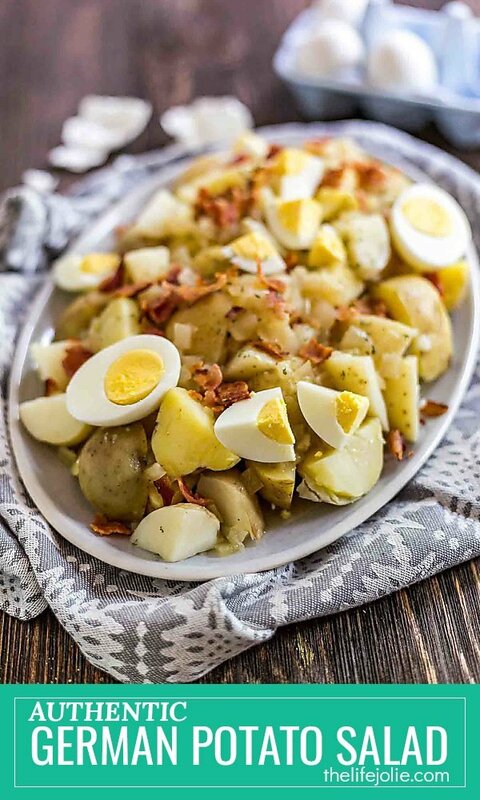 This authentic German Potato Salad is an easy family favorite that's perfect for a picnic or gathering. It tastes great cold or warm and is topped with bacon and hard boiled eggs- this is a classic that the whole family will love! Bacon grease from the above bacon (if you don't have enough grease you can always add a little oil). In the bacon grease, saute the onions over medium heat until soft, about 6-7 minutes. Stir in the vinegar, water and sugar and cook for 5 minutes. Whisk in a little flour to thicken (start with 1 Tbsp. and add more as you need it). Mix the potatoes and some of the bacon with the dressing. Top with remaining bacon and eggs and serve warm. If you are serving later, pop it into the oven to warm before serving, stirring frequently so that it doesn't dry out. If I'm serving this later, I try to reserve some of the dressing and warm it and top it just before serving. July 22, 2015 at 8:53 am Thank you- yes, bacon has a way of making everything better! July 22, 2015 at 8:53 am Thank you- it's definitely different. Enjoy! July 20, 2015 at 8:44 pm I love potato salad in the summer! I will have to try this! Thanks for the recipe! 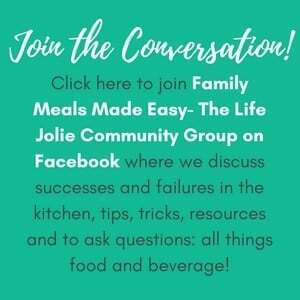 Stephanie recently posted...Do you know how to start teaching your baby sign language? July 22, 2015 at 8:52 am Thank you- enjoy! July 22, 2015 at 8:51 am Thank you- I hope you enjoy it! June 15, 2017 at 11:21 am I LOVE German style potato salad and this one is a beauty! I must make one soon myself, as my chickens are laying up a storm lately and I have dozens of eggs! June 15, 2017 at 12:07 pm OMG- I have major chicken-envy! I would love to have chickens, but I know I wouldn't be able to properly care for them :( But there is seriously nothing like fresh eggs! 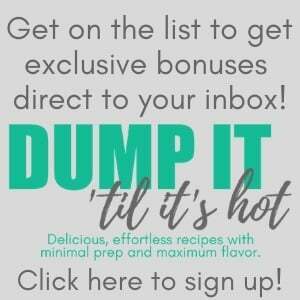 June 15, 2017 at 1:15 pm This sounds so delicious - warm potato salads are my favorite, and yesssss to bacon! June 15, 2017 at 2:18 pm I haven't tried a potato salad with bacon in it but I love the sound of it. My mouth is watering here :). June 15, 2017 at 4:34 pm I love potato salads and this one looks amazing and perfect for summer! Should give it a try! June 15, 2017 at 8:48 pm Thank you- I hope you enjoy it!